Saint Vincent and the Grenadines lies at 13 degrees 15� North latitude and 60 degrees 56� West longitude, approximately 1,600 miles southeast of Miami. Saint Vincent, the largest island of this 32 island archipelago has long been a seafarer�s haven. The Grenadines extend 45 miles to the southwest, like stepping stones: Bequia, Mustique, Canouan, Petit St Vincent, Union, Isle � Quatre, Mayreau, Tobago Cays� Kingstown is the home port. In accordance with the Shipping Act, 2004, a Commissioner for Maritime Affairs, was appointed by the Cabinet to carry out administrative duties in foreign ports and undertake the general superintendence of all matters relating to merchant shipping and registration of ships through offices in Geneva and Monaco. Saint Vincent and the Grenadines, member of the IMO, since 1980, is also a member of the Baltic Exchange. Our country ranks among the top 20 leading fleets of the world. at 17:57:20 The requirement of maximum sulphur content of 0,50% m/m for marine fuel oil will enter into force on the 1st of January 2020. This Administration strongly recommends ships to develop implementation plans based on the "Guidance on the Development of aShip Implementation Plan for the Consistent Implementation of the 0.50% Sulphur Limit under MARPOL Annex VI" in accordance with the MEPC.1/Circ.878 in order to avoid delays. The Maritime Authorities of the Paris and the Tokyo Memoranda of Understanding (MoU) on Port State Control will start issuing a letter of warning from the 1st of January 2019 on the sulphur content of marine fuels during inspections in order to increase awareness of and to encourage timely compliance with the new requirements. at 10:27:30 Paris MoU announced the joint Concentrated Inspection Campaign of Paris and Tokyo MoU on MARPOL Annex VI that will run from September to November 2018. Masters should use the Questionnaire for the Inspection Campaign on MARPOL ANNEX VI in order to identify and rectify possible PSC Deficiencies well in advance before the PSC inspection. The registration of fishing vessels and vessels engaged in any fishing activities whatsoever (including the TREATMENT, STORAGE OR TRANSPORTATION OF FISH AND FISH PRODUCTS), is suspended. The RIYADH (MoU) has recently announced that it will be conducting a concentrated inspection campaign (CIC). The CIC will focus on crew familiarization for enclosed space entry and will run from 1st September 2017 until 30th November 2017.
will perform the campaign according to the attached questionnaire form "CIC on Crew Familiarization for Enclosed Space Entry". The full text of the RIYADH (MoU) may be found here. and that navigational equipment is properly maintained and functioning. at 11:34:56 This Administration would like to remind ships' Owners, ships' operators, ships' managers and Masters that the Cyprus ports of Famagusta, Karavostassi and Kyrenia situated in the Turkish occupied part of Cyprus which operated prior the 1974 Turkish invasion were declared closed for all vessels in 1974 by the Council of Ministers Order of the Republic of Cyprus. The use or attempt to use an illegal point of entry or exit from this part of Cyprus constitutes a violation of Cypriot Law and contravenes the United Nations Security Council Resolutions 541 (1983) and 550 (1984). at 11:33:00 All ships, pleasure and commercial yachts above 500 gt should comply with the new Minimum Safe Manning requirements by 1st July 2017. In order to avoid delays, shipowners are urged to apply well in advance for the new Minimum Safe Manning Documents. Please refer to our Circular STCW 006. Tokyo MOU Secretariat has issued a Press Release concerning the implementation of a concentrated inspection campaign on Cargo Securing Arrangements to be carried out from 1 September through 30 November 2016. Between 1 September and 30 November 2016 a Concentrated Inspection Campaign will place on MLC,2006 requirements. 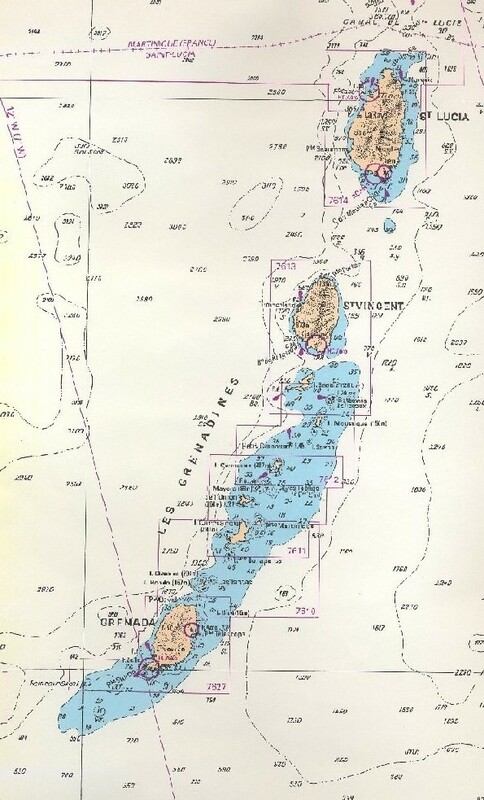 All vessels calling Yemeni ports should obtain the permission from relevant authorities according to the procedure described in the following document. Paris and Tokyo MOUs on Port State Control have announced they will launch a joint concentrated inspection campaign (CIC) on crew familiarisation with enclosed space entry. The CIC will run from 1st September 2015 to 30th November, 2015. During port state inspections, officers will check in detail the enclosed space entry procedures and measures that are in place. Port State Control Officers will use the attached questionnaire to establish that crew members are familiar with the relevant equipment and have received training to identify and understand the hazards associated with enclosed space entry. The entry into force date for the Nairobi International Convention of Removal of Wrecks (WRC) is 14 April 2015. The WRC requires owners of ships over 300GT to take out insurance or provide other financial security to cover the costs of wreck removal, capped at an amount equal to the limits of liability under the applicable national or international limitation regime. Owners of ships that call at ports of State Parties which mandate the certificate as a port entry requirement, are also required to carry a WRC State certificate to attest that they have obtained adequate insurance coverage. As of January 2015, there are 16 States that have acceded to the WRC as shown in Table A. The WRC allows State Parties to issue the WRC State certificates to ships belonging to non-Convention States. The State Parties of Germany, The Cook Islands, Malta, Palau will issue WRC State certificates to St. Vincent and the Grenadines flagged ships. We would like to advise owners, managers and masters of St. Vincent and the Grenadines flagged ships calling at ports of State Parties to check with the local agents on whether the WRC State certificate is a port entry requirement. If so, please be advised to approach the State Parties of Germany, The Cook Islands and Malta, Palau for the issuance of the WRC State Certificate to your ships. The contact details to make the applications are appended in Table B. We hereby request that copies of all WRCs are submitted to the Administration for our records. Seaman's Books are compulsory for all seamen. A valid STCW Endorsement is mandatory for the issue of Seaman's Book to marine officers. ports. These inspections will commence in the 3rd / 4th quarter of 2012. If asbestos is found, the Flag State will be requested to issue an Exemption in accordance with MSC.1/Circ.1374. It is recommended, as precaution, that vessels avoid transiting within 50 NM of the Fukushima nuclear power plant at position 37 degrees 19 minutes North, 141 degrees 01 minutes East. Seafarers are advised to monitor and comply with NAVTEX and NAVAREA XI warnings and any information being provided by the government of Japan relating to any further potential impacts. Onne Port and its anchorage, Nigeria. The increase to security Level II will remain in force until otherwise decided. o Follow the relevant advice given in St Vincent and The Grenadines ISPS Circulars. at 12:05:51 St. Vincent and the Grenadines is party to the International convention on civil liability for bunker oil pollution damage, 2001 - effective as of 26th February 2009. This Administration advises the Master/SSO and crew to pay utmost attention and to be vigilant during transit/call at Nigerian waters and ports. Master/SSO in consultation with CSO shall verify the actual security situation and implement security measures as per SSP which will correspond to the overall security situation.